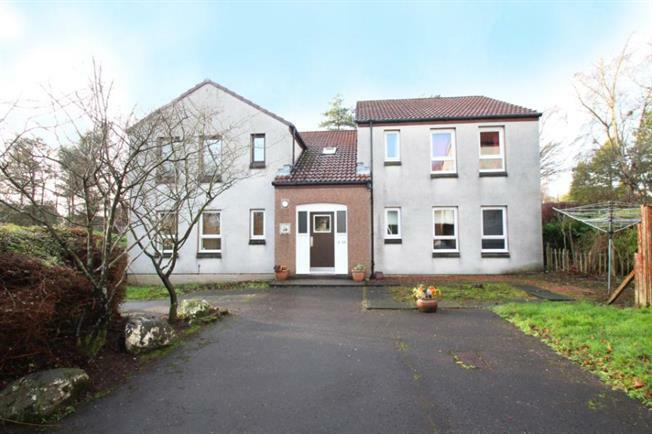 1 Bedroom Upper Floor Flat For Sale in Glenrothes for Offers Over £39,000. This upper floor studio apartment is located within the Stenton precinct of Glenrothes and is conveniently located for commuting throughout Fife. Ideally suited for a first time buyer or as a buy-to-let, the property is sure to make an excellent home. The property is situated on the upper floor within a block of similar properties and is entered via a shared entrance and stairwell. The entrance door leads in to a vestibule area with storage cupboard and doors to the lounge/bedroom and bathroom. The lounge bedroom is nicely proportioned with 3 windows to the rear, a built-in storage cupboard/wardrobe and door to kitchen. The kitchen with window to side is fitted with base and wall units with complimentary work surfaces, integral electric hob and oven and with space for free standing appliances. The bathroom is fitted with a white suite with wet wall around bath, electric shower over and an additional airing cupboard. The property is heated via electric convector heaters and benefits from resident's car parking.